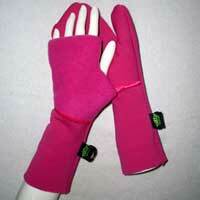 Turtle Gloves® reversible fingerless gloves, hats, and scarves transform into numerous fashion and functional options. 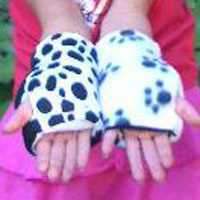 Children and adults love the Turtle Gloves® reversible, fingerless gloves! The reversible fingerless gloves provide you with freedom of choice: fingers free for what you do, slide up the wrist to be hands free as needed, pop out a Warm Up Mitten to warm up your fingers. 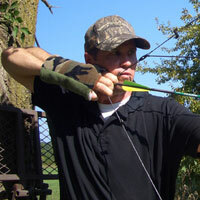 Driving, texting, hunting, fishing, reading, knitting, sports, therapy…you can do anything with Turtle Gloves®! 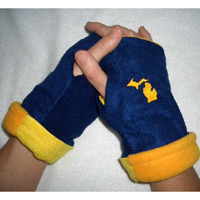 REVERSIBLE – Completely change color or pattern by turning gloves inside out! Also available are Turtle Gloves® Reversible Hat and Scarves to match your Turtle Gloves® Reversible Fingerless Gloves. The reversible hat and scarves have numerous fashion options. This can be a “Mood Hat” reflecting when you feel calm, happy or snappy. It will make you smile and make you laugh. Wear the hat as a BUCKET HAT, PILL BOX HAT, BRIM HAT, BERET, TUKE, or SLOUCH HAT. 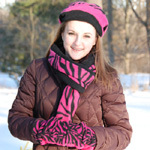 The Turtle Gloves® reversible scarf reverses to a solid color, or turn it inside out for the other pattern. To get a new look out of your reversible scarf, just slide it over your arm and grip the end. Pulling in thirds, grab the material from your wrist. As easy as that, you have a whole new scarf! Most styles are made with a combination of Premium American made fleece and cozy fleece in fun patterns. 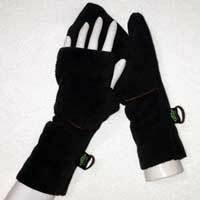 Other styles combine Premium fleece with durable suede cloth for a quality, nice looking, and long lasting product. These are the official Turtle Gloves® with patent pending.